Best Natural Pain Relief For Fibromyalgia! I have had fibromyalgia for approximately 16 years and wondered if there were any natural remedies that would help with the pain and flare-ups. I am taking 'pain killers' that have been prescribed by my doctor - ibuprofen, paracetamol - and I wear a strong dosage morphine patch, which I need to change every 3 days. I take other medication to help me sleep, although they don't always work. I also have depression for which I also take medication, and this has been with me for 27 years but has been made worst by the fibromyalgia. I often find myself caught in a downward spiral - pain really bad, I become more depressed, which makes me more painful, resulting in me being even more depressed and so on - which I find very hard to get out of. Do you have any home remedies or pain relief remedies that don't involve pharmaceutical drugs? Any help would be gratefully appreciated. 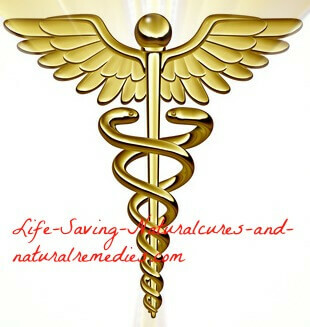 Hi Denise, and thank you for your question regarding natural remedies for fibromyalgia. With fibromyalgia, you not only need to reduce the pain and inflammation, you need to help treat the root cause of the problem to stop the flare-ups. 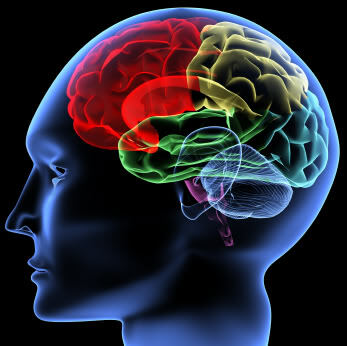 This involves building up the immune system, along with the nervous system. "Fibromyalgia is a system wide breakdown", says Jacob Teitelbaum, MD, medical director of the nationwide Fibromyalgia & Fatigue Centers. So to successfully treat this problem you need a balanced and "overall" approach. Natural Remedy for Fibromyalgia #1... Magnesium: Even Dr Oz agrees that the root cause of fibromyalgia develops in the nervous system. Magnesium is absolutely essential for the health of the entire nervous system. It's also vital for healthy sleep, calming the nerves and lifting moods (3 things all fibromyalgia patients need). The best way to get your daily requirement of magnesium (your body needs lots of this crucial mineral) is with a transdermal magnesium spray sprayed on the skin. You can also get a nice daily dose of magnesium with a terrific product called Natural Calm. Taken in the morning and before bedtime, this supplement will keep you calm and relaxed with a heightened mood throughout the day, yet will also make you sleep like a baby a night! You can check it out here if you're interested... Natural Calm. 1/8 tsp of borax and 1/8 tsp of sea salt in a litre of de-chlorinated water, and drank this for 5 days each week. Within two weeks her face cleared, the redness faded, body temperature normalized, energy level increased, and she steadily lost excess weight. The only side-effect was an initial aggravation of her Rosacea symptoms. Another post: "7 years ago thyroid cancer, the next year adrenal fatigue, then early menopause, the following year uterine prolapse followed by hysterectomy - the following year fibromyalgia and neuropathy. Early Childhood was fluorinated water along with fluoride tablets. Fall of 2008 I was looking at total disability. I could barely walk and couldn't sleep because of the pain and was throwing up daily from the pain in my back. After reading about fluoride I came to understand where all of my problems originated. I began the borax detox of 1/8 tsp in a litre of water and within 3 days my symptoms were almost gone.". Home Remedy for Fibromyalgia #3... Vitamin D: A vitamin D deficiency is also a prime suspect in the onset and development of fibromyalgia. Many sufferers report excellent results and relief from their symptoms from taking as little as 2000 IU (internatinal units) per day of vitamin D3. But vitamin D expert, Dr Cedric Garland, says we should be taking around 5000 IU's per day and that we can safely take up to 10,000 IU's daily. So be sure to get yourself a high dose vitamin D supplement and start getting some regular sun exposure! Natural Cure for Fibromyalgia #4... Chlorella: This stunning green food is perfect for boosting energy levels and for repairing and rejuvenating the body (overall good health). Because fibromyalgia is a "system wide" breakdown in the body, you need something that's going to help the body recover on a cellular level. Chlorella is perfect for this. Natural Remedy for Fibromyalgia #5... Herbs: To treat the symptoms of fibromyalgia successfully, you need some powerful immune boosting, anti-inflammatory and pain relieving herbs. Cayenne pepper, ginger, turmeric and black pepper are all excellent for this (taken together). So take these daily and use them in your cooking as much as possible for some welcome pain relief. There are also other herbs that work extremely well including rosemary, oregano and celery seeds. You can read about them in more detail here... Natural Pain Relieving Herbs. Natural Treatment for Fibromyalgia #6... Apple Cider Vinegar (ACV): Apple cider vinegar helps to balance your body's pH level and improve circulation. This can help reduce fibromyalgia symptoms such as gastrointestinal issues, fatigue, headaches, joint pain, swelling and inflammation. Just make sure the ACV you buy is organic and still contains the "mother" apple (like these). This is extremely important. A tablespoon mixed in a glass of warm filtered water and consumed 3 times daily is exactly what you need. Home Remedy for Fibromyalgia #7... Eat healthy: The second diagram at the top of the page gives you a handy list of foods to eat and foods to avoid for fibromyalgia. The only foods we would add to the "do not eat" list are margarine and all processed oils (Crisco, etc) and we would definitely add organic coconut oil to the "foods to eat" list. Follow this guideline and you can't go wrong. So hopefully this helps you Denise. You can also find some more valuable tips here... Home Remedies for Fibromyalgia. Comments for Best Natural Pain Relief For Fibromyalgia! Just wanted to say THANK YOU. I have printed the text info & bookmarked the websites you've so kindly given me. I will read & try the natural remedies you have suggested - I've nothing to lose & everything to gain. Once again, Thank You Troy. I really appreciate it. You're very welcome Denise. Hope it helps. All the best to you. I'm wondering if I should use all 7 treatments at once? How would I know which works and which doesn't? Hi Donna. You should most definitely use all 7 recommendations at once. 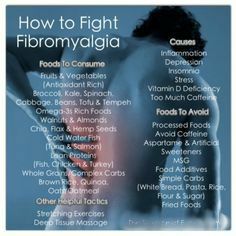 There's quite a lot there I know, but if you do use all of them you'll be astounded at the difference they'll make to your overall health and your fibromyalgia. I guarantee it! The reason you need all 7 is because they all work in synergy with each other. For instance, boron and vitamin D are needed for the absorption of magnesium. Chlorella is a powerful detoxing agent that works even better when it's combined with apple cider vinegar. Apple cider vinegar is one of natures best "cure all" remedies and significantly enhances the absorbability of your food and nutrients. Eating healthy (#7) speaks for itself of course.